The name which does NOT NEED an introduction. For the past eight consecutive years, FORTUNE magazine has named National Instruments one of the 100 best companies to work for in America. A world leader in computer-based measurement and automation, is revolutionizing the way engineers and scientists use PCs to monitor and understand the world around us. NI leverages commercial technologies, such as industry-standard computers and the Internet, to deliver customer-defined measurement and automation solutions. 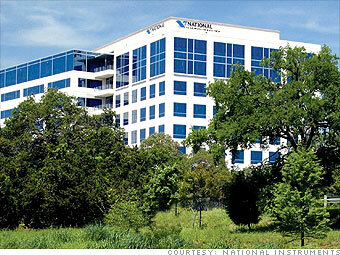 Headquartered in Austin, Texas, NI is the maker of many famous software, the most prominent being “Labview”. – High pH Score and good academics. products. Your journey will commence with learning NI’s products and customers. Please do not apply if you are looking for a software / R&D job. This is primarily a consulting role. Need a Job ? Give your Facebook password ?!? Previous: How our favourite dishes were named!